Today we are sharing a logo development project started quite a while ago but completed fairly recently. 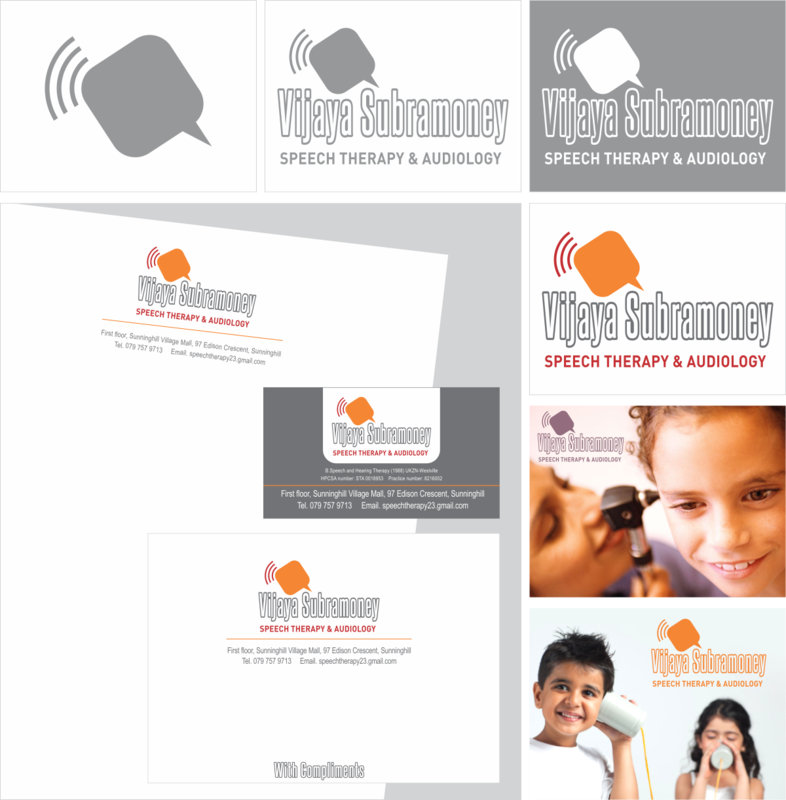 Vijaya Subramoney is a speech therapist and audiologist in Joburg. She's really busy so this project has taken a while to wrap up. The marketing and branding protocol for audiology in South Africa is quite specific so we didn't have a lot of leeway for design. Audiologists have to use their name as their company name, which has to predominate so we couldn't do anything with a graphic that was too prominent. We came up with a very simple icon of a speech block (for speech) and sound waves (for audiology). It can work as a standalone icon and also be incorporated into a logo format with Vijaya's name. She liked red and orange as colours to work with so we've stuck with those and added a grey neutral. We don't usually like to use hollow fonts but used one in this instance to subtly help draw a bit more attention to the icon - so in a sneaky way the name is larger but doesn't actually predominate. Below is how it looks and ways it can be used, along with basic stationery design.